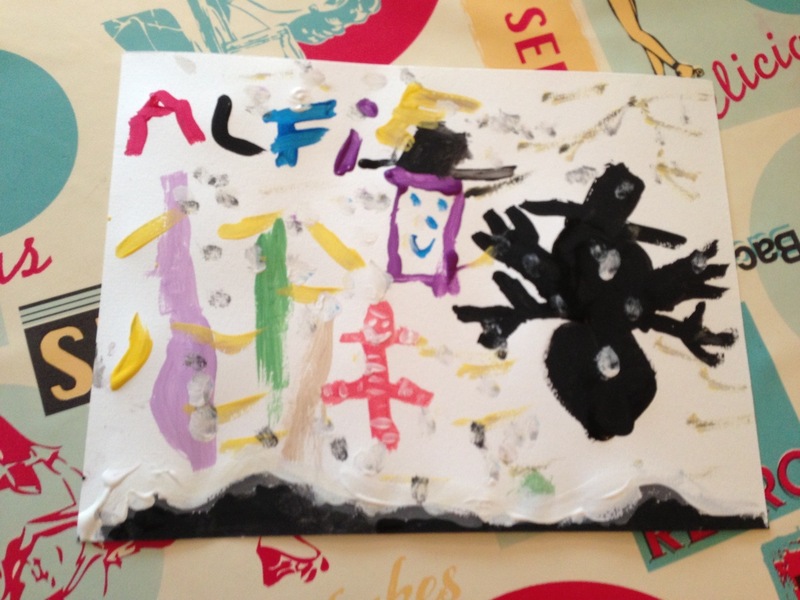 Our little artist painted a picture of a black snowman on a windy day…. I love the black snowman. It reminds me of a shadow! 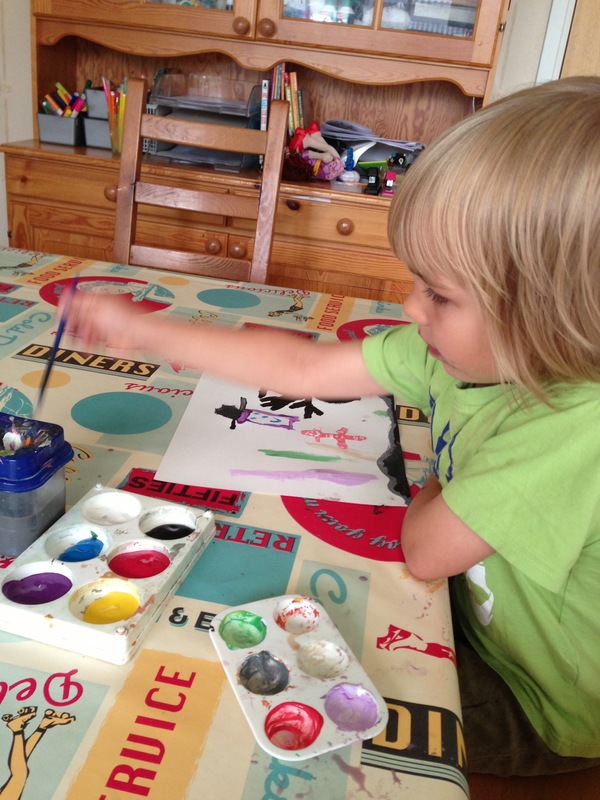 I love how much color is in this painting despite the shot of black. It’s presents a lovely contrast!